The Seahawks had Marshawn Lynch on their roster for years and just signed Paxton Lynch as a backup quarterback. So why not add another Lynch as a pass-rusher? More relevant than his name is that Aaron Lynch could indeed help give Seattle some pass rush — something the Seahawks can never have enough of, as coach Pete Carroll says whenever asked — and maybe on the relatively inexpensive side, which is why he is reported to be coming to Seattle this week for a visit with the Seahawks. Ian Rapoport of the NFL Network reported Monday that Lynch, a defensive end/edge rusher, visited the Raiders earlier in the day and was now on his way to Seattle. Lynch entered the NFL as a fifth-round choice of the 49ers in 2014 and had 13.5 sacks in his first two seasons, including 3.5 in four games against the Seahawks in those two years, two in one game in 2015. But he had just 2.5 sacks in 14 games over the next two seasons, was suspended for four games in 2016 for violating the NFL’s substance abuse policy and also is battling injuries. 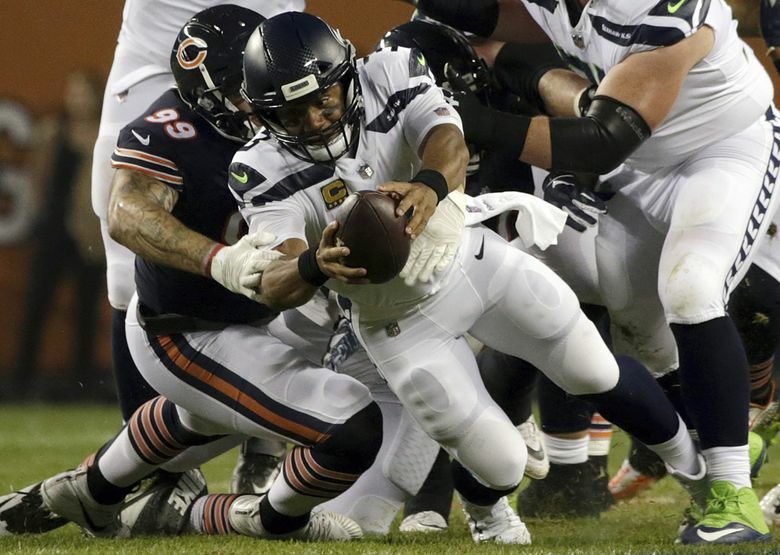 He signed a one-year, $4 million deal with the Bears last year and played better, with three sacks in 13 games, one of the sacks coming in Chicago’s Week Two victory over the Seahawks, and earning an “above average” grade for the season from Pro Football Focus of 73.6, 28th among all edge rushers. Seattle would obviously be hoping he could play like that again if the Seahawks were to sign him while also probably trying to get him at less than his $3.9 million cap hit of last season. Despite playing five years in the NFL already Lynch is just 26. Seattle could envision Lynch as a replacement on its roster for Dion Jordan, who is a free agent after two seasons with Seattle but yet to sign. Because Lynch is an unrestricted free agent, he would count against the compensatory pick formula, so the Seahawks will undoubtedly tread carefully.